James Alex Fields Jr., 20, was arrested on Saturday in Charlottesville, Virginia. A 20-year-old man was arrested on Saturday after police said he plowed his car into a group of protesters in Charlottesville, Virginia. Nine pedestrians were injured in the crash, and a 32-year-old woman was killed. Several hundred protesters had been marching in downtown Charlottesville to take a stand against a white supremacist rally. The gray Dodge Challenger charged into a group of the anti-racist protesters, captured in graphic detail in a photo by the Daily Progress. Fields was arrested shortly after fleeing the scene of the crash, police said. He was charged Saturday night with second-degree murder, three counts of malicious wounding, and hit and run. Monday, a Charlottesville judge denied Fields bail. A bond hearing is scheduled for mid-August. Fields, who appeared in court via a video link in a black and white jumpsuit, reportedly said he could not afford a lawyer and has no ties to the Charlottesville area. The court appointed him a lawyer after he said he received a salary of $650 a week. Charles "Buddy" Weber, the lawyer assigned to represent Fields, is also one of a group of plaintiffs suing the City of Charlottesville to stop the removal of the statue of Robert E. Lee from Emancipation Park, formerly known as Lee Park, according to a copy of the lawsuit posted online by The Daily Progress. Weber also represented Jason Kessler, the blogger who organized the white supremacist demonstration in Charlottesville this weekend, in an unrelated case earlier this year. Kessler was arrested in January and charged with assaulting another man while Kessler was collecting signatures for a petition to remove a local Charlottesville official. Kessler pleaded guilty in April. Fields is from Maumee, Ohio, and had traveled to Charlottesville for the Unite the Right rally, his mother told the Toledo Blade. Samantha Bloom, Fields' mother, said her son had told her last week he was heading to an "alt-right" rally in Virginia, the Blade reported. "I try to stay out of his political views. I don't get too involved,” Bloom told the newspaper. "I told him to be careful," she said, "if they are going to rally, to make sure he is doing it peacefully." She then broke down in tears. She later told the Associated Press that she believed the rally was to support President Trump, not white supremacy. "I thought it had something to do with Trump. Trump’s not a white supremacist,” Bloom told the AP. “He had an African-American friend, so...” she said, trailing off. Fields is registered as a Republican and voted in the November election, as well as in Ohio's primary election this March, according to voter registration records. The FBI is now investigating the crash to determine if any civil rights violations took place. If the FBI determines that civil rights violations took place, it could make Fields eligible for federal hate crimes charges. An image circulated by the Anti-Defamation League Saturday appeared to show Fields standing with members of Vanguard America, a white supremacist group that helped organize the Charlottesville protest. The group said in a statement that Fields was not a member, and that it had handed out shields to various people in attendance Saturday. An official statement regarding today's incidents and the individual in question. Video footage taken at Saturday's rally appears to show Fields chanting, "Fags, go home, you have no testosterone." Footage appearing to show Fields begins at 1 minute and 22 seconds, with his back initially facing the camera. The video, posted to YouTube by alt-right blogger Nathan Gate, was taken at the Unite the Right rally hours before Fields allegedly plowed through a crowd of counterprotesters marching through the city's downtown. BuzzFeed News has not confirmed that the man pictured is Fields, although the image appears to match previous photos identifying him as the driver in Saturday's incident. On a Facebook page that appears to belong to Fields, photos include memes embraced by the alt-right and some supporters of President Donald Trump, including Pepe the Frog and a portrait of a crowned Trump sitting on a throne. 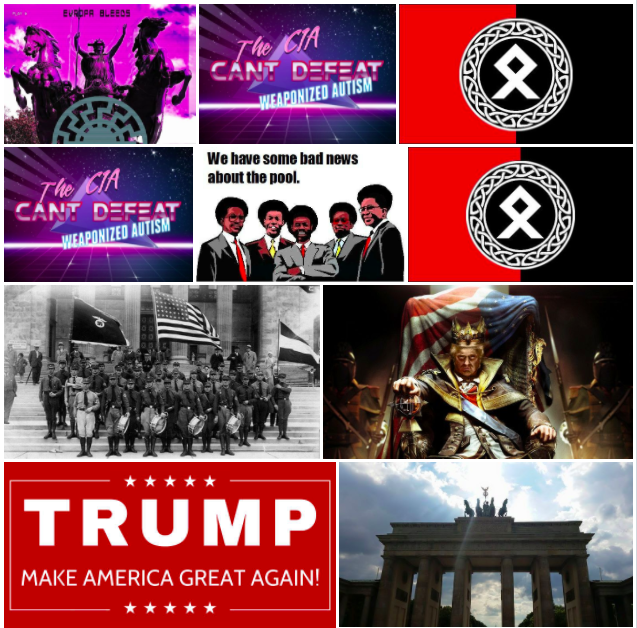 Other posts contain more overt references to Nazism and white supremacy, including a cover photo of soldiers with a US flag and swastikas, and a baby portrait of Adolf Hitler. 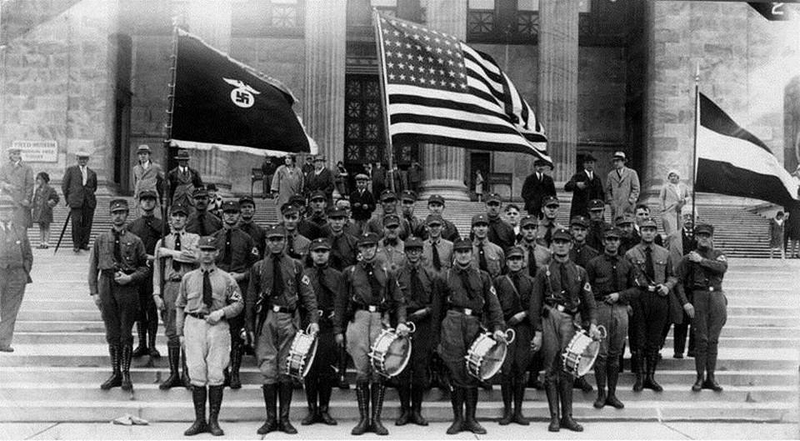 The angular symbol in one image was identified by the Southern Poverty Law Center as the Othala rune, a Norse symbol that was co-opted by the Nazis to promote their ideas of racial "purity." Another image shows a character from the animated series Archer who is raised by a Nazi scientist and suggested to be a clone of Hitler. A photo from 2015 showed Fields proudly posing with a gray Dodge — his first car, according to a comment on Facebook. Other posts suggest Fields enlisted in the Army in 2015. An Army spokesperson confirmed Sunday Fields reported for basic training in August 2015, but was released from active duty due to a "failure to meet training standards." Fields reported for basic military training in August of 2015, Army spokesperson Lt. Col. Jennifer Johnson confirmed Sunday. "He was, however, released from active duty due to a failure to meet training standards in December of 2015," she said in a statement. "As a result he was never awarded a military occupational skill nor was he assigned to a unit outside of basic training." Trainees may fail to meet standards when they do not pass either the physical requirements or the required training.